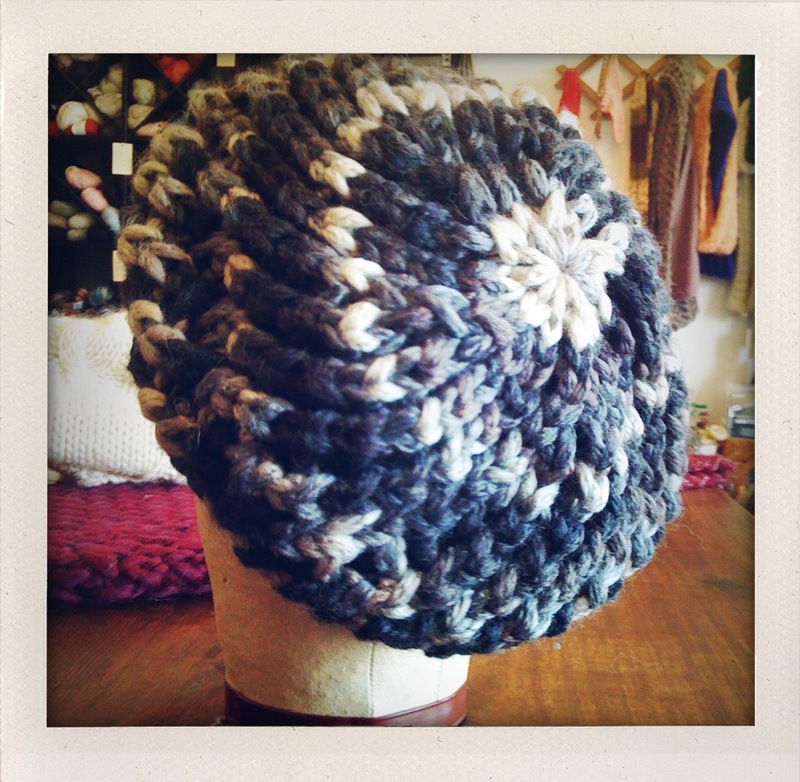 This pattern is essentially the same as the other Lacy Beret pattern on the blog except I have substituted a bulkier yarn and larger needle size, making the hat quicker to finish and cuter to wear. I used 2 balls of Katia Fabula, a creamy-soft, machine washable, big-and-bulky merino wool yarn that comes in an unusually short self-striping repeat. It’s almost somewhere between a striping yarn and a space-dyed yarn, and looks great in the bulky weight with the giant stitches highlighting the color changes. Using the US size 10 needles, cast on 50 sts. Join in the round, place a marker, and work a K1, P1 rib for 4 rounds (knit 1 stitch, purl 1 stitch, repeat). Repeat rounds 1 and 2 until hat measures 8″ from cast on, ending having just completed the 1st round. *Knit 10 stitches, place a marker. Repeat from * to the end of the round. Round 1: *Work a (yo, k2tog) until 2 stitches before the marker, k2tog. Repeat from * to the end of the round. Round 2: *Knit to 2 sts before the marker, k2tog. Repeat from * to the end of the round. Repeat rounds 1 and 2 until there are too few stitches left on the needle to fit around the 16″ circular. Cut the yarn,. leaving a 10″ tail, and using a jumbo darning needle, thread the tail through the remaining stitches on the needle, slipping the stitches off the needle as you do so. You should end up with all of the stitches on the tail yarn. Pull teh tail yarn tight like a drawstring. This closes the very top of the hat. 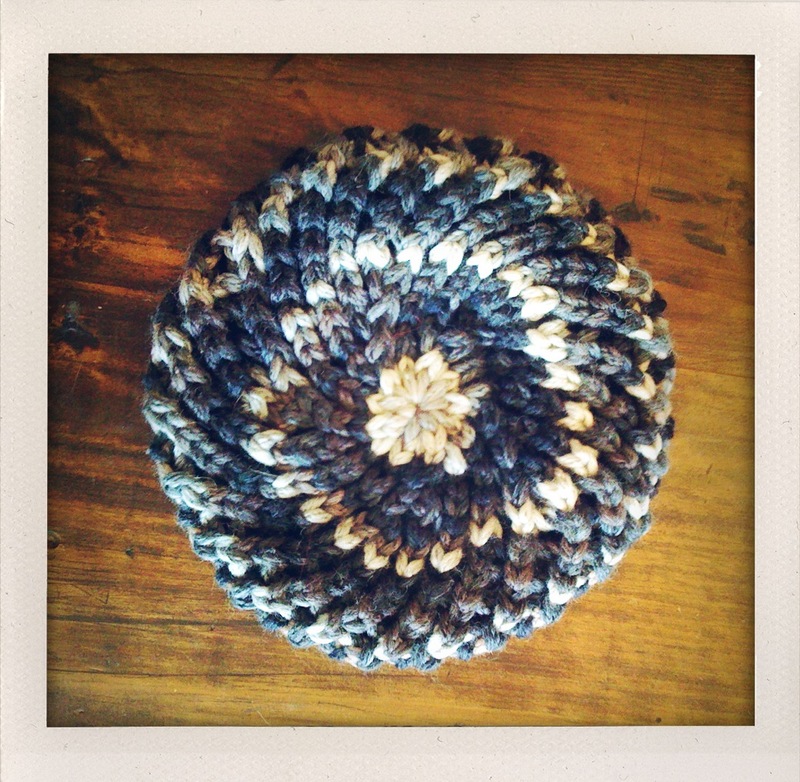 We were in the shop today and were told we could make this beret with one ball of the Katia yarn? I’m really looking forward to making this but am not sure about how much yarn I have on hand–what’s the total yardage you need? Thanks! 76 yards should do it. You can always make it floppier by making the lace pattern portion longer before the decreases. In that case I’d use 100 yds. I tried knitting this about three times and have had to pull it apart each time–for some reason the stitches aren’t (for lack of a better word) swirling. Is the lace pattern supposed to end up on an odd number of stitches? Should I be knitting into the back of the stitches? I love the pictures but can’t for the life of me seem to reproduce them. Any ideas what I could be doing wrong? You must make sure that every time you yarn-over, you knit-2-together right after. If you forget to yarn-over, you will decrease a stitch by knitting-2-together. If you forget to knit-2-together, you will increase a stitch by yarning-over. Also, make sure NOT to yarn-over after the last k2tog. That will also add a stitch. When you lose or add a stitch, you end up with an odd number of stitches, which means the lace pattern will not line up. Hope that helps! I just finished mine and I absolutely love it! The Katia fabula yarn has such a wonderful stretch and bounce to it and the colors stripe up so beautifully (I used “earthtones”)–I definitely have a new favorite! It was so lovely to work with and looks really sophisticated–no one believes I made this one, and it’s the easiest hat I’ve ever made! I love the pattern (super easy to memorize!) 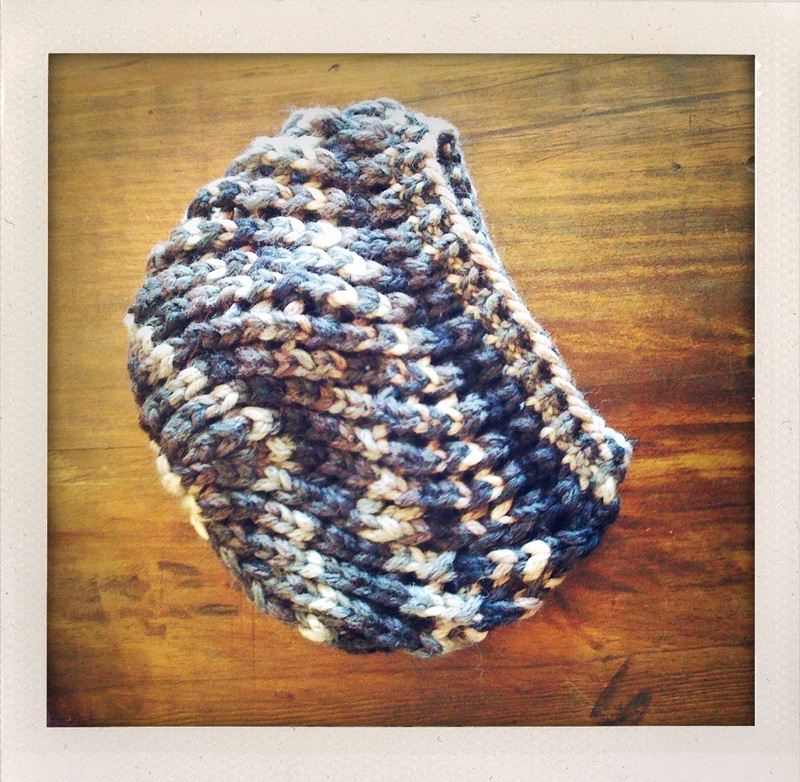 and it took me no time at all to finish…but I think 8 inches is what the hat should be TOTAL length. I began the decreases at 8″ the first time and had to go to a third ball of yarn during the decreasing and came out HUGE. When I began the decreasing after 4 and 1/2″, it came out perfectly. What is the gauge for this particular pattern? After you thread the tail through the remaining sts, weave the tail (with the darning needle) through a few rows of sts on the wrong side of the hat. This will secure the loose end.